We love Resurrection Sunday. We know that the whole point of the celebration is that Jesus is alive! Last year, I shared a fantastic set of books on theology that we gave our preschoolers. You can read about those in Theology for the Little Ones. This year, I’d like to share a fantastic book we’ve been using in our morning devotions, Jesus is Alive! by Josh McDowell and his son Sean McDowell. The book is aimed at children aged 7 – 10. First, let me say that I really enjoy Josh McDowell‘s writing. One of my favorite books is his Evidence for Christianity, an excellent apologetic resource for high school students and adults. This is my first time reading a book by Sean McDowell, and I’m enjoying his work as well! Jesus is Alive! has been such a blessing in our morning devotions. Each devotion is encompassed in a two-page spread, covering topics related to the Gospel, Heaven and the new earth, the life of Jesus, and proof of the Resurrection. Each of the 60 devotions consists of a question (ie. How many people saw Jesus after his resurrection? ), an answer to the question, “A Word from Josh and Sean” explaining some aspect of apologetics, logic or the answer above, an illustration, and a Scripture passage. It probably takes us 5 minutes to read through, but we spend about 15 minutes on this each day, because there’s always something interesting to discuss. We’re just finishing the book, and I feel like the boys have a much better understanding of apologetics, the Scripture, and some of the key arguments against the Resurrection (and why they don’t make sense!). What are some of your favorite children’s resources regarding the Resurrection? 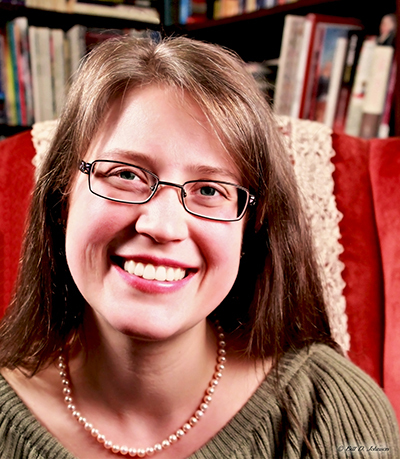 Danika Cooley is a freelance children’s writer with a love for God’s Word, history, wisdom and small people. Her work has appeared in magazines including Focus on the Family’s Clubhouse and Clubhouse Jr., Pockets, Devozine, Keys for Kids, in Cobblestone Group’s FACES and Odyssey and in Chicken Soup for the Soul: The Magic of Mothers and Daughters. « It’s Science… It’s Adventure… It’s Jonathan Park!